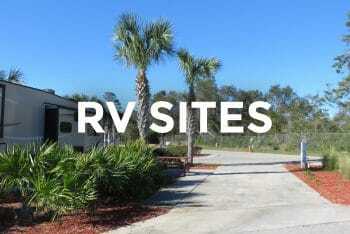 Carrabelle Beach RV Resort: Paradise on Florida’s Forgotten Coast! 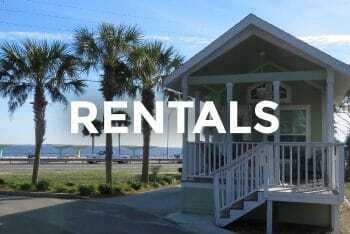 With an array of lodging options—from Cozy Cabins and RV Sites to Resort Cottages and an Oceanview Loft—Carrabelle Beach RV Resort offers something for everyone. Featuring lush, natural landscaping, a large, sparkling swimming pool, a beautiful clubhouse and tons of nearby attractions and activities, our Carrabelle Beach RV Resort is camping at its finest. Plus, our nature-lover’s retreat is pet-friendly! We offer a fenced dog run and are located across the street from a dog-friendly beach. Ready to escape to a peaceful getaway just steps from the beach? Look no further than Carrabelle Beach RV Resort. Located an hour outside of Tallahassee, our upscale Carrabelle Beach RV Resort offers the best of both worlds: a serene, natural environment combined with exceptional accommodations and amenities. Carrabelle Beach RV Resort is nestled on Florida’s Forgotten Coast, across Apalachicola Bay from St. George Island. Our resort is just steps from Carrabelle Beach—a pristine, uncrowded coastline well-known for its white sand and prolific game fishing. Welcome to our laid-back, friendly coastal community. Carrabelle is a dream destination for couples, families, nature-lovers and everyone in between. Wildlife is plentiful on Carrabelle Beach. As you stroll alongside the Gulf, you may spot dolphins jumping in the water, a blue heron perched on the sand or pelicans flying overhead. Closer to our campground, you may be lucky enough to come across deer and other critters at play. Although our beaches are quiet and uncrowded, there are countless things to do in Carrabelle. If you want to learn about the town’s rich, coastal history, stop by one of Carrabelle’s fascinating museums. Don’t forget to check out the town’s famous Crooked River Lighthouse and Museum, originally built in 1895 and only a short walk away. Ready for a bite to eat? Carrabelle is home to a number of excellent eateries, from fine waterfront restaurants serving up steaks and fresh seafood to casual barbecue and pizza joints. An angler’s paradise, Carrabelle also offers plenty of fishing opportunities. This charming coastal hamlet is home to a working waterfront with full-service marinas, where you can book an offshore fishing adventure. Ready to discover a serene sanctuary nestled in nature? Book your accommodations at Carrabelle Beach RV Resort today!